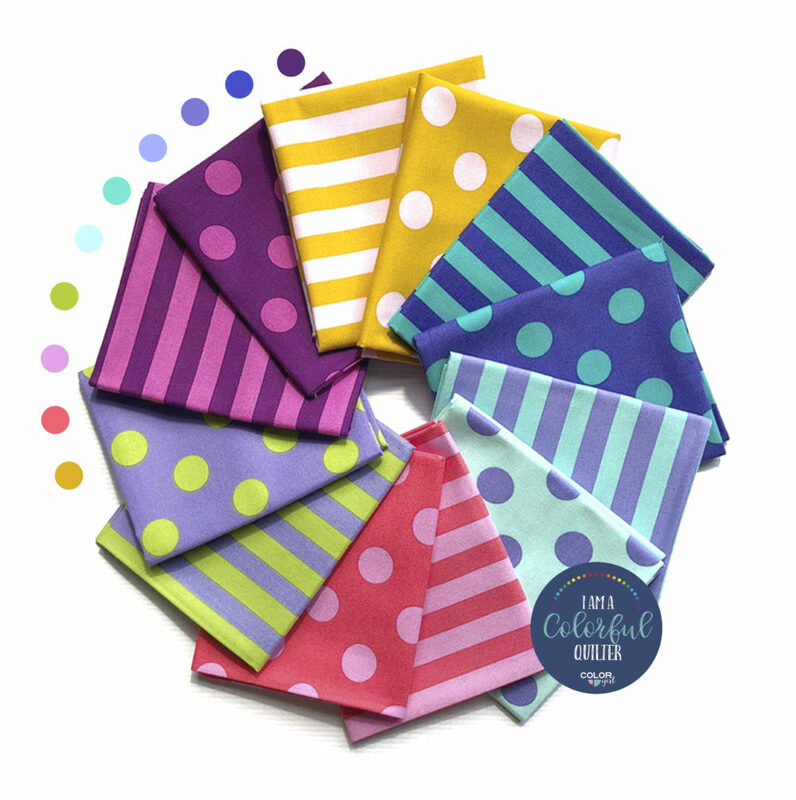 Polka Dot Bikini is reminiscent of the classic double wedding ring pattern made in a brand new way. 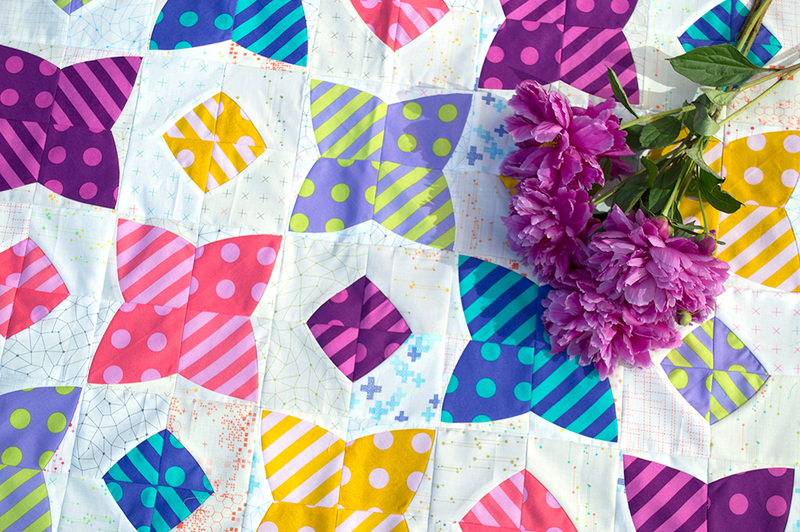 The piecing involves basic curves, with no foundation (paper) piecing, no tricky bias arcs or Y seams. 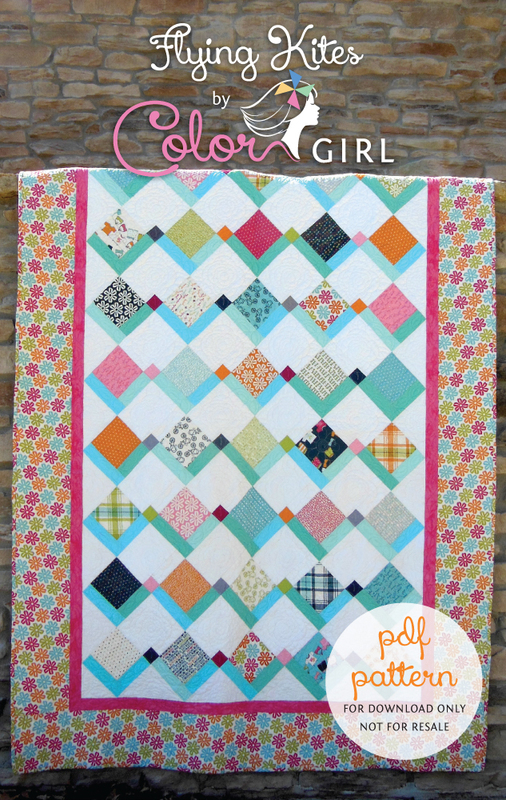 Pull out your stash of polka dot fabrics and rainbow colors to make this modern classic! 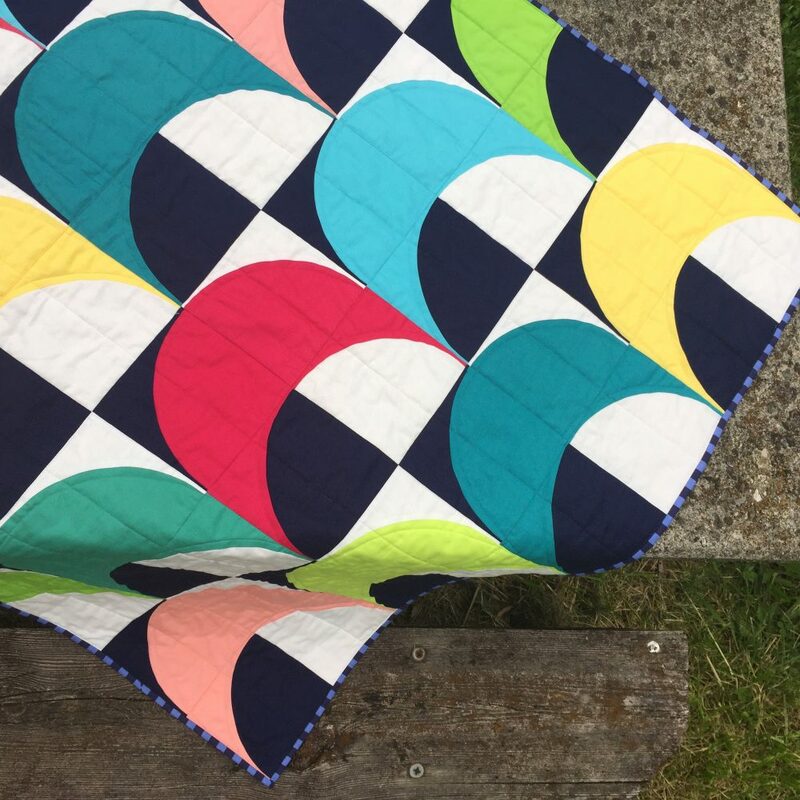 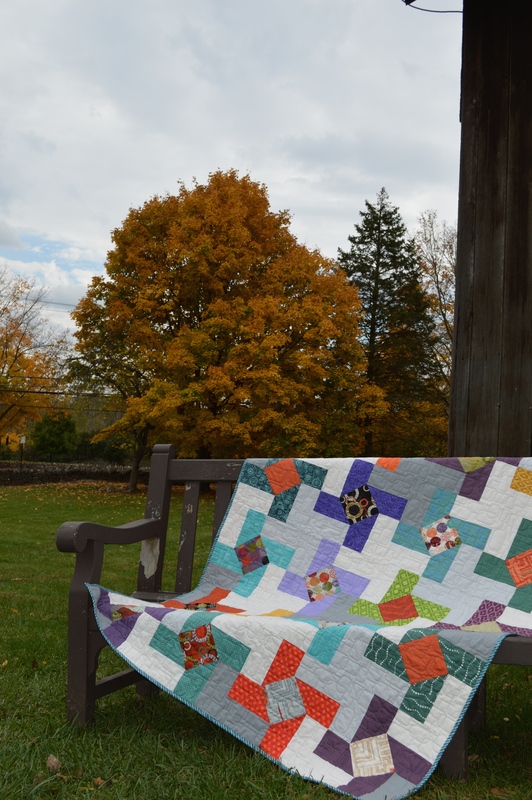 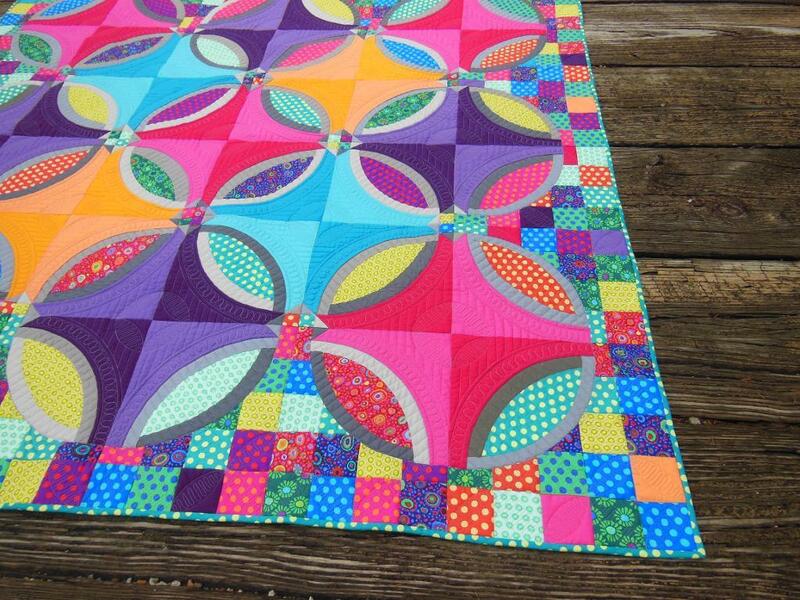 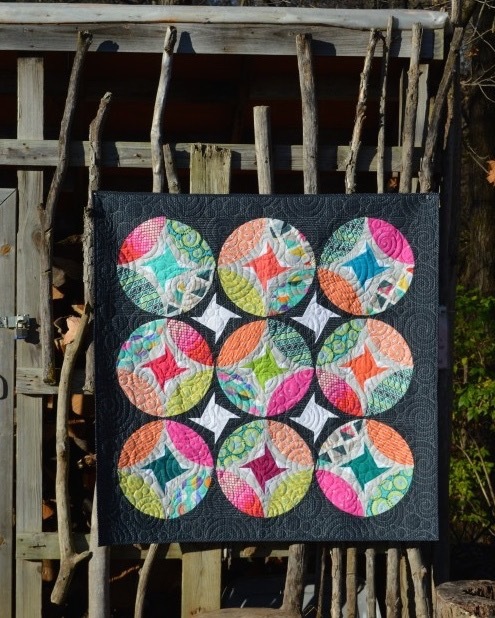 <Click Here> to follow the quilt along including photo tutorials on curved piecing and help with some steps of the pattern. 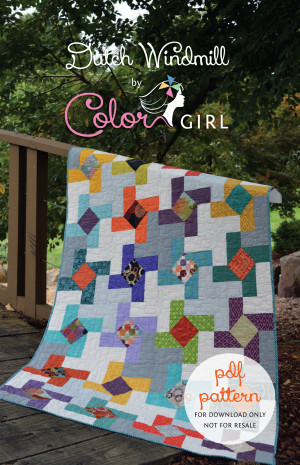 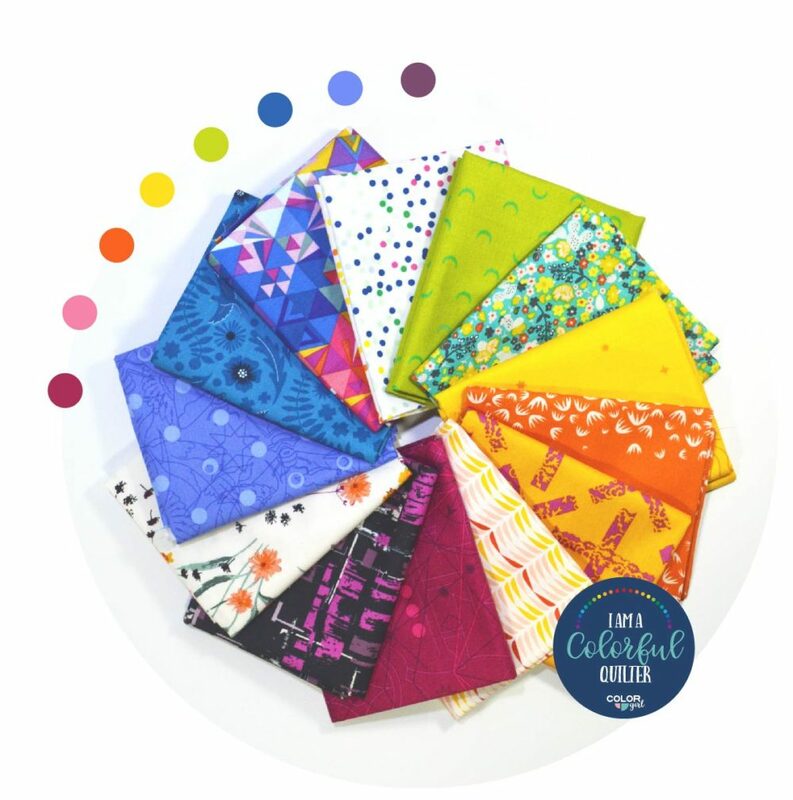 Quilt the rainbow! 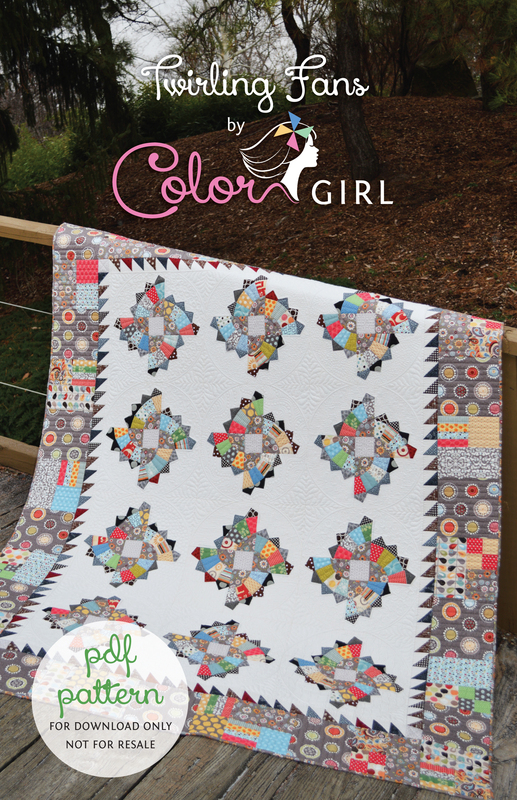 Get that traditional quilting look with a modern twist in the Polka Dot Bikini pattern. 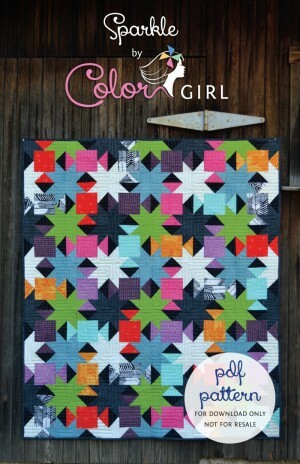 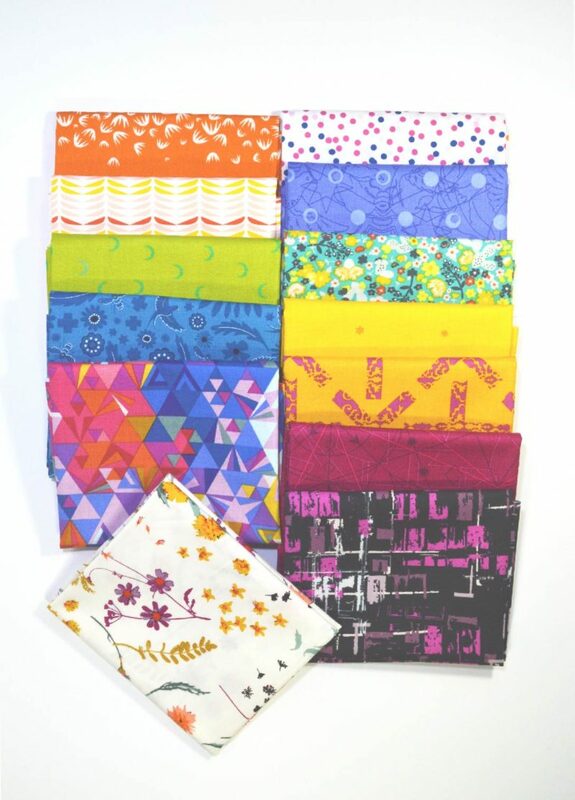 Use your boldest colors and prints or soft pastels, this pattern will look beautiful in whatever fabric you choose. 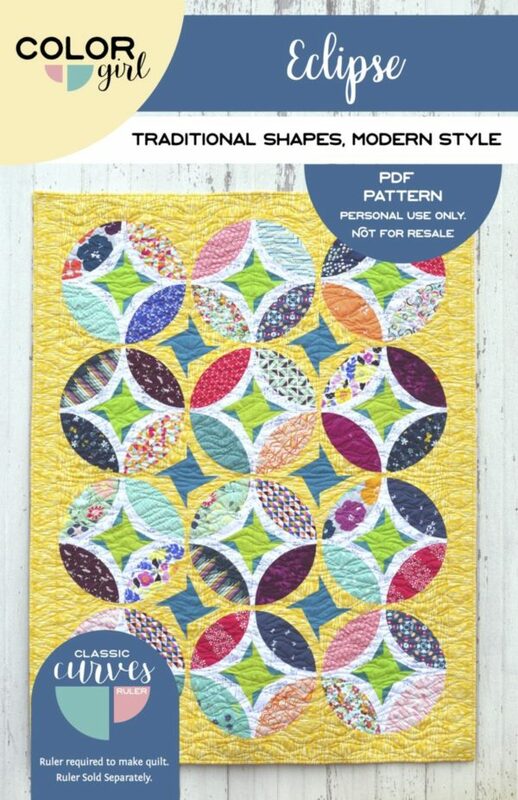 The classic double wedding ring look is simplified with unique cutting and piecing techniques: only three basic templates are needed. 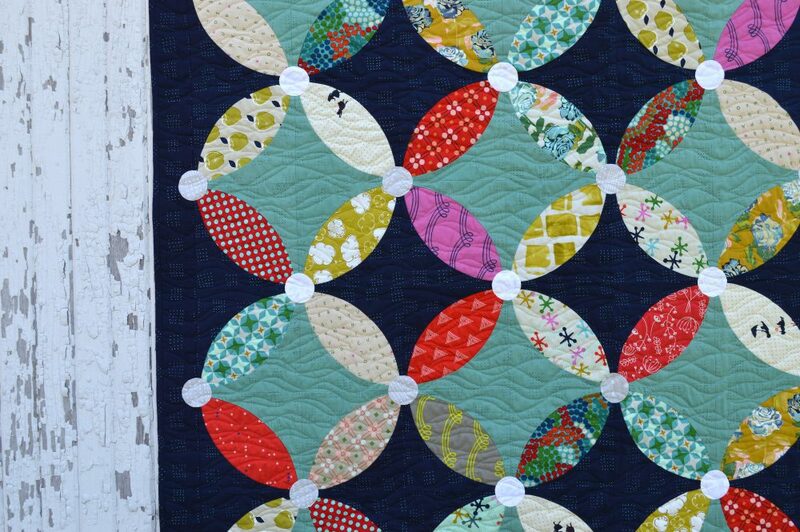 Basic knowledge of rotary cutting, using as sewing machine for quilt piecing, and basting, binding and quilting are required to finish the quilt. 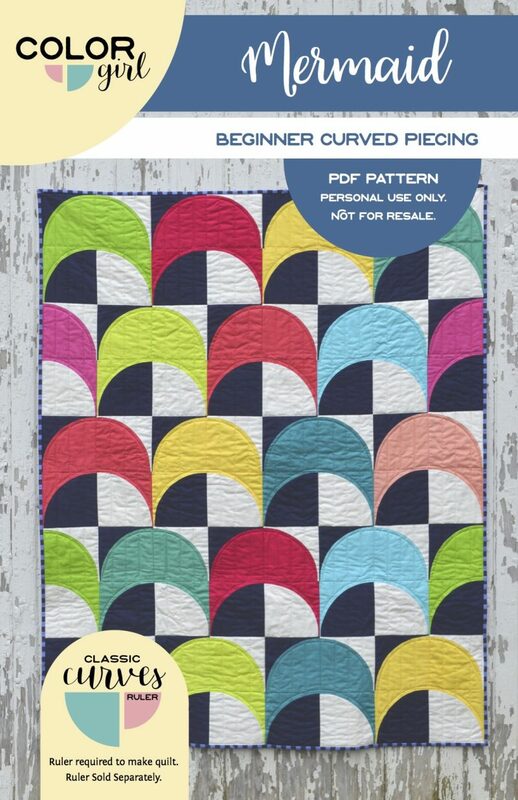 This pattern is sold as a pdf file. 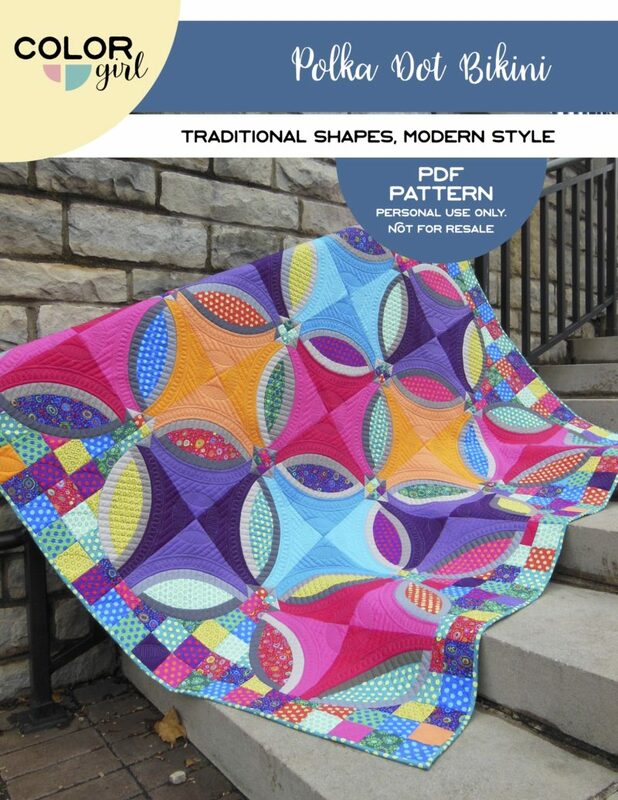 Link to download the pattern will be sent via email after purchase. 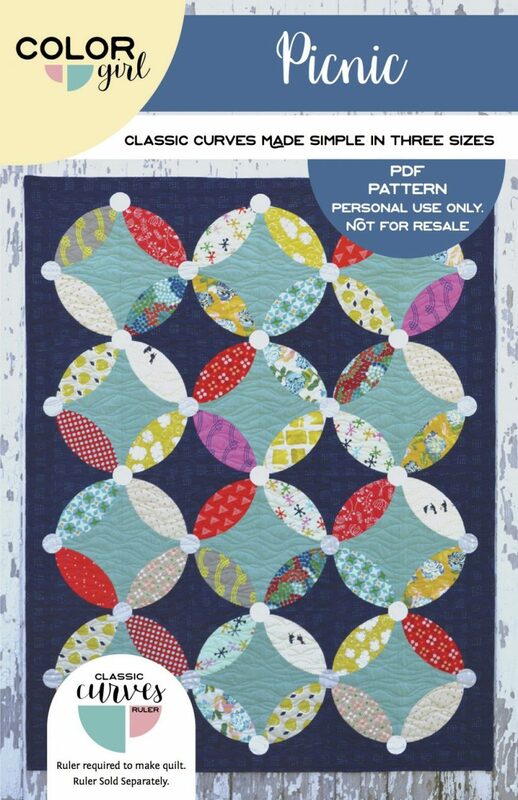 Please download and save pattern on your computer before opening on a tablet or phone.